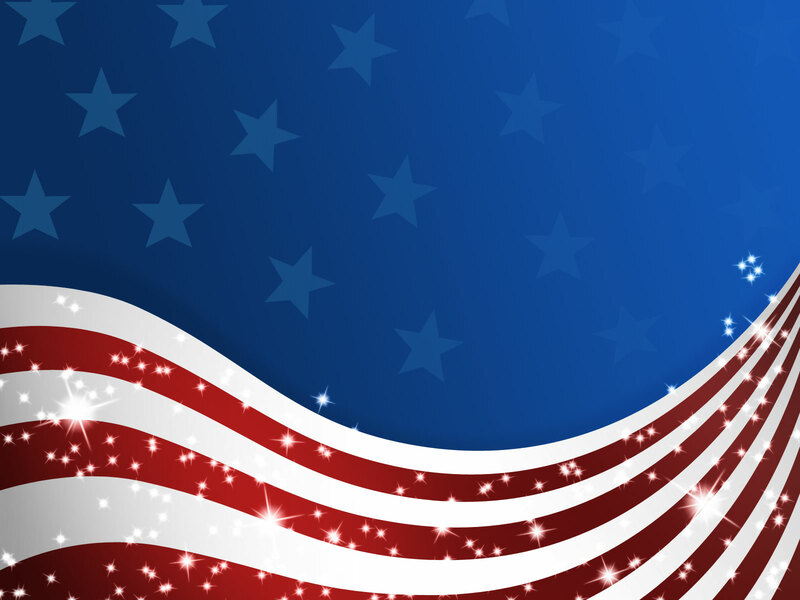 Thank you for considering All American Door Company. Please contact our qualified staff for any questions regarding repair. 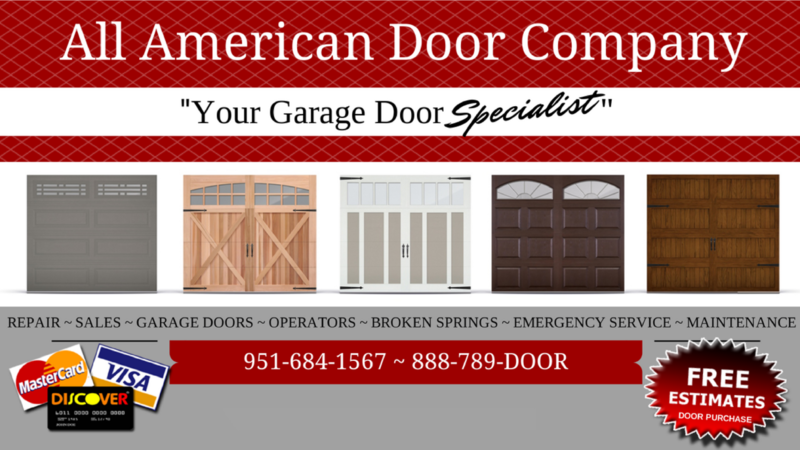 If you are in the market to purchase a new garage door, please contact us for a FREE estimate. Same Day Service – Free Estimates Serving Riverside, Corona, Norco, Mira Loma, Grand Terrace (909) 460-0907 Same Day Service – Free Estimates Garage Door Repair, Riverside CA 92501 (909) 460-0907 Same Day Service – Free Estimates Garage Door Repair, Riverside CA 92502 (909) 460-0907 Same Day Service – Free Estimates Garage Door Repair, Riverside CA 92503 (909) 460-0907 Same Day Service – Free Estimates Garage Door Repair, Riverside CA 92504 (909) 460-0907 Same Day Service – Free Estimates Garage Door Repair, Riverside CA 92505 (909) 460-0907 Same Day Service – Free Estimates Garage Door Repair, Riverside CA 92506 (909) 460-0907 Same Day Service – Free Estimates Garage Door Repair Riverside CA 92507 (909) 460-0907 Same Day Service – Free Estimates Overhead Door Repair, Riverside CA 92508 (909) 460-0907 Same Day Service – Free Estimates Garage Door Repair, Riverside CA 92509 (909) 460-0907 Same Day Service – Free Estimates Garage Door Repair, Corona CA 92882 (909) 460-0907 Same Day Service – Free Estimates Garage Door Repair, Corona CA 92880 (909) 460-0907 Same Day Service – Free Estimates Garage Door Repair, Corona CA 92881 (909) 460-0907 Same Day Service – Free Estimates Garage Door Repair, Corona CA 92882 (909) 460-0907 Same Day Service – Free Estimates Garage Door Repair, Corona CA 92883 (909) 460-0907 Same Day Service – Free Estimates Garage Door Repair, Mira Loma CA 91752 (909) 460-0907 Same Day Service – Free Estimates Garage Door Repair, Norco CA 92860 (909) 460-0907 Same Day Service – Free Estimates Garage Door Repair, Grand Terrace CA 92313 (909) 460-0907 Same Day Service – Free Estimates Garage Door Repair, Lake Matthews CA 92570 (909) 460-0907 Same Day Service – Free Estimates Overhead Door Mesa Garage Doors Sears Garage Liftmaster Genie Chamberlain Linear commercial residential industrial fire house doors glass doors Apple Valley, Hisperia, Victorville, 92307 92308 . Garage door springs counterbalance the weight of the Overhead door to make it easy to open and close. They serve the same purpose of counter weights used to balance doors in centuries past and in many doors today. For example, if a garage door weighs 100 pounds, a spring force of 100 pounds needs to pull against the weight of the door. This can be accomplished with springs that either stretch or torque special parts to assist in balancing the door.Replacing garage door springs is dangerous because of the torque in a wound torsion spring or the stretch in an extended extension spring. Garage door repairs often involve replacing garage door parts that are tied into the spring system, and many accidents, injuries and deaths have occurred for those who have not understood the forces at work. A proper understanding of garage door springs, garage door weights, garage door parts, and how these are interconnected is essential for safe repairs. Garage Door Torsion Springs. Garage door torsion springs are secured to a metal shaft above the garage door. Depending on the system, the shaft may pass through the middle of the springs or spring, or the shaft may sometimes house the spring. If the shaft passes through the middle of the torsion spring, the spring may be mounted in the middle of the shaft or on the end of the shaft by the outside edge of the garage door.Torsion springs balance the garage door by applying torque to the shaft with drums at each end. Attached to each drum is a cable that extends to and is secured to the bottom fixture at the bottom of the door. The torsion spring unwinds and winds as the door is opened and closed to comprise a balanced system.Torsion springs have three characteristics that determine the lift and cycle life. These properties are the wire size, inside diameter and length. The lift, which is determined by the torque of the spring, tells how much door weight the spring can lift. The cycle life tells how many times the garage door should open and close before the spring breaks.Standard Torsion Springs Standard garage door torsion springs Standard torsion springs, pictured here, are secured to the spring anchor bracket and rotate a metal shaft with a 1″ outside diameter.Standard torsion springs are the most common residential torsion springs in the garage door industry.Residential garage doors typically use either one or two springs. On a lighter garage door, one spring will suffice. In that case, the torsion spring may be mounted to the spring anchor bracket in the middle of the shaft above the garage door. Other times, the spring has an offset mount, meaning that installers do not mount the spring anchor bracket above the center of the garage door.If two torsion springs balance the garage door, they are typically mounted to the spring anchor bracket above the middle of the garage door. Having two springs on the garage door tends to make it safer, especially if one spring breaks when the door is open. The other spring will then keep the garage door from falling and injuring a person or causing damage to the garage door or other property.Does your door use standard torsion springs? Go to our Standard Residential Torsion Springs page to learn more and to order new springs for your garage.EZ-Set Torsion Springs Clopay EZ-Set Torsion Spring System: The white plastic shaft retainer holds the shaft next to the cable drum, which sits next to the winder.Clopay EZ-Set Torsion Spring System: The white plastic shaft retainer holds the shaft next to the cable drum, which sits next to the winder.EZ-Set torsion springs appear very similar to standard torsion springs, but the hardware is quite different. Door installers mount EZ-set springs to winders on the ends of the shaft, which is also 1″ in diameter. The black winder has the letter “R” or “L” on it, corresponding to the right or left side of the garage door.As with standard residential torsion springs, typically one or two springs fit on the shaft. While most two-car garages will have two EZ-Set torsion springs and single-car garages only one spring, this does not always hold true. Some lighter 2-car garage doors only have one EZ-Set torsion spring. In this case, the spring is usually mounted on the left side of the garage door.Clopay EZ-Set shaft support bracket.Clopay EZ-Set shaft support bracket.Some of the wider garage doors have two shafts with a coupler in the middle to connect the two. This extra piece of hardware can save you a lot of time and trouble replacing your EZ-Set torsion springs in cases with very little space between the end of the shaft and the wall.Double-car garage doors, with either one spring or two springs, will have a center support bracket (pictured). Single car garage doors will not have this bracket–typically nothing supports the middle of the shaft.Does your door use EZ-Set torsion springs? Go to our EZ-Set Torsion Spring page to learn more and to order new springs for your garage.Wayne Dalton TorqueMaster Torsion Springs Wayne Dalton TorqueMaster torsion spring system Wayne Dalton’s unique design for their TorqueMaster torsion spring assembly.Wayne Dalton designed their TorqueMaster torsion spring system to operate even more safely than Clopay’s EZ-Set system. The garage door has one or two springs nested inside of the shaft. The cross section of the shaft is not circular – one quarter of the shaft extends outward to form an edge. The spring stays fastened inside the shaft by the stationary cone, which matches the shape of the shaft.On on earlier garage doors the TorqueMaster spring comes equipped with a winding cone on the opposite end which extends past the end of the shaft and passes through the cable drum. The winding cone fits inside a special winder, which allows the torsion spring to be wound with an electric drill. Newer doors with Torquemaster springs are wound with a wrench or a socket using a ratchet system.The center support bracket and bushing on TorqueMaster systems.Wayne Dalton’s special center bracket.The ends of the shaft are supported by the cable drums, these being formed of plastic. Wayne Dalton manufactures the TorqueMaster with about three grooves that sit higher than the rest of the grooves. They set the remaining grooves to give the cable a 2″ diameter as it wraps around the drum.The center of the shaft has a circular piece that fits on the center support bracket. When the garage door opens, the circular piece rotates with the shaft and remains on the center bracket.Fix Standard Commercial Torsion Springs Commercial and Industrial garage doors typically have at least two torsion springs. Many of these doors use four or more torsion springs in one of four setups: linear, duplex, triplex, or mixed.Linear System: Two springs installed on the left side of this garage door, with two other springs on the right side as well.Linear System: Two springs installed on the left side of this garage door, with two other springs on the right side as well.The linear system comes into good use more commonly with wider garage doors through which large vehicles need to enter. Since these garage doors tend to be wider, four or more torsion springs line up on the shaft with ease. Customers installing the linear system gain the advantage of less costs for the springs and spring hardware than for the materials in the duplex/triplex spring systems.Duplex System: On the left of this picture is the shaft with a bearing and the spring anchor bracket. The end of the wire on both torsion springs hooks into the stationary cones.Duplex System: On the left of this picture is the shaft with a bearing and the spring anchor bracket. The end of the wire on both torsion springs hooks into the stationary cones.The duplex system only appears to have two very large springs, one on each half of the garage door. Inside of each torsion spring, however, is another spring with a smaller inside diameter. The duplex spring system supplies extra torque, and thus lift, from the torsion springs without needing the extra space on the shaft as with a wider garage door system.The triplex system functions very similarly to the duplex system. In this setup, there are two springs inside the outer spring.The mixed system, as you guessed, features a combination of the linear system and the duplex/triplex system. Mixed systems use more than one set of duplex or triplex springs on each half of the garage door. This becomes an option for installers when the garage door shaft measures long enough to accommodate multiple springs. If one of these garage doors weighs very heavy, it is sometimes a better option to have multiple pairs of duplex springs sets on the garage door.Users of the duplex and triplex systems, however, often find it difficult to detect a possible broken inner spring.Since commercial industrial doors tend to weigh more, the torsion springs used in these settings usually have a larger inside diameter and wire size than residential torsion springs. While the springs on many doors use shafts with a 1″ outside diameter, some doors instead use a 1-1/4″ outside diameter shaft. These shafts are only used with bearings, cable drums and winding cones with 1-1/4″ openings for the shaft. Heavier doors often use a soild shaft while lighter doors tend to use hollow shafts. Some solid shafts are keyed, giving a groove along the length of the shaft that, when coupled with a shaft key, can help keep the cable drums from spinning loose.Does your commercial door use standard torsion springs? Go to our Commercial Torsion Springs page to learn more and to order new springs for your garage. Also, if you have a more common residential garage door spring, you can try searching for your spring in our Find My Spring Database™. For information on how to measure your spring, please see our How to Measure Torsion Springs.Fix Steel Rolling Door Torsion Springs Steel rolling doors are not made of sections like most garage doors. Instead, they join together by interlocking slats, which allow the door a greater range of mobility as it opens. With the extra mobility available, the rising garage door wraps securely around a barrel.Secured inside the barrel is a torsion spring. The spring counterbalances the door weight to make the door easier to operate. The barrel remains closed on both ends, so you cannot see the springs inside. While many doors only have one spring, some heavier steel rolling doors use multiple springs to balance the extra door weight.The barrel comes equipped with two head plates, located on each side. Two pieces of shaft pass through a bearing in the head plates and into the barrel. Inside the barrel, idler brackets support the shafts. Pins or screws fasten these brackets to the barrel.The shaft supports the torsion springs. One of the idler brackets serves as a spring anchor bracket to anchor the torsion spring. The other end of the spring typically has a cone that is secured to the shaft with setscrews, though some springs have a special loop at the end that is secured to the barrel with a rod.One side of the steel rolling door has a winding unit. A piece of angle above the winding wheel is secured to the head plate. This supports a bolt that rests inside the winder to anchor the shaft.You can adjust the spring tension by inserting a winding bar in another hole in the winding wheel, pulling down on the bar, and removing the bolt to free the wheel and shaft to turn. Spring tension is added by winding down on the winding wheel. A sprocket assembly connects to the shaft on the other side of the barrel. Installers typically attach an opener or a chain hoist to this assembly to operate the door.Do you have a steel rolling garage door? Go to our Steel Rolling Door Torsion Springs page to learn more and to order new springs for your garage.One-Piece Curtain Door Torsion Springs Self-storage mini-warehouse roll-up doors can typically be seen in rows.Self-storage locations make use of single-piece curtain doors. These doors were manufactured by Trac-Rite One-piece curtain doors operate in a manner similar to steel rolling doors. You’ll find these doors at self-storage locations. In the industry they are called mini-warehouse doors and self-storage doors. These curtains vary widely in width and height.Manufacturers roll mini-warehouse doors from a single piece of steel. While steel rolling doors use interlocking slats to form the curtain, mini-warehouse doors use single-piece curtains. As the door opens, the curtain wraps around the drums which are secured to the shaft. Because of this, all one-piece curtain doors can be called roll-up doors or steel rolling doors.Torsion springs for mini-warehouse doors have special ends The end of the torsion springs on one-piece curtain roll-up doors is secured to one of the drums. The special spring ends wrap around a bolt which fastens to the drum.Spaced along the axle are circular drums. These parts help to support the curtain as the door opens. The torsion springs secure to the outer-most drum with a bolt as pictured. Typically two torsion springs balance each door with one one each end of the shaft.The other end of the torsion spring secures to the door bracket just to the outside of the door. The axle passes through this bracket, through the middle of the torsion spring, and through the drums.Some manufacturers, such as Janus International and Trac-Rite, make doors with a special tension adjustment wheel, while doors by other manufacturers such as DCBI do not have this special adjustment tool. Typically, the springs on curtain doors without tension adjusters are visible when the door is open. Those with tension adjusters tend to have a steel wrapping around the drums, hiding the springs from view.Sectional Garage Door Extension Springs Sectional garage door extension springs are the more common type of extension springs installed here in the United States. These springs stretch above and parallel to the horizontal tracks on each side. They counterbalance the garage door by pulling on the cables. As the door closes the door weight is transferred from the tracks to the cables, and the door it gets heavier, but the springs are also stretching and pulling against the cables to balance the door and make it easier to operate.End of the extension spring in an eye-bolt secured to the track The back end of the extension spring connects to an open-eye bolt or an s-hook, which connects in turn to angle iron or the garage frame. This spring uses a wire as a safety cable.Residential garages almost always utilize two springs, one on each side of the door. One end of each spring usually connects to an open-eye bolt. This bolt usually fastens to the angle iron that holds to track or to a beam in the garage frame.The end of the extension spring is attached to a pulley The other end of the extension spring connects to a pulley with a pulley fork.A pulley typically attaches to the other end of the extension spring with the help of a pulley fork. One end of the cable that goes over this pulley is attached to a cable adjustment clip. An S-hook attaches to this clip, as well as to the horizontal track. The other end of this cable rolls over a second pulley and down to the bottom fixture on the bottom section of the garage door.Cable on extension spring attaches to clip. S-hook attaches to the track While one end of the cable attaches to the bottom fixture, the other end attaches to a cable clip. An S-hook secures this clip to the track.Do you have sectional garage door extension springs? Go to our Sectional Garage Door Extension Springs page to learn more and to order new springs.Commercial and industrial overhead doors have an extension setup very similar to residential garage doors. On heavier doors, there may be a special kit that connects the ends of multiple extension springs. This allows two or more springs to be stretched simultaneously on each side of the garage door.Not all commercial and industrial garage doors have this setup installed. Some still just use one extension spring on each side. For the most part, though, the rest of the system functions the same as with residential doors. Pulleys supply lift in both types, though commercial pulleys tend to be a lot stronger and capable of lifting heavier doors without premature breakage.One-Piece Garage Door Extension Springs Just as the name implies, One-piece garage doors operate as one large piece. When the door opens, the top moves inside of the garage, usually on tracks, while the bottom of the door rises outside of the garage. Extension springs pull against a pivot pin or a connecting point to counterbalance the weight of the door.Since the bottom of the door moves both toward the inside and outside of the garage, weatherstripping this type of door in not feasible. As a result, one-piece garage doors are more popular in climates less prone to harsh weather.One-piece garage door systems use extension springs to counterbalance the door. These doors typically use one or two extension springs on each side of the door, for a total of 2 or 4 springs on the door.The bottom of the spring is secured to an adjusting bolt which is fastened to a door jamb bracket. The top of the spring has a loop or a clip positioned over a large pivot pin or bolt. The springs stretch upward, nearly perpendicular to the garage floor. The other end of the spring attaches to a lever arm. The lever arm is attached to the garage door. As you open the door, the extension spring shortens and loses some of its stretch.Do you have one piece garage door extension springs? Go to our One piece garage door extension springs page to learn more and to order new springs for your garage.